To help you find the perfect gardening book for you, we’ve compiled a list of the best ten best books on the market with a detailed description of what you can expect from them! 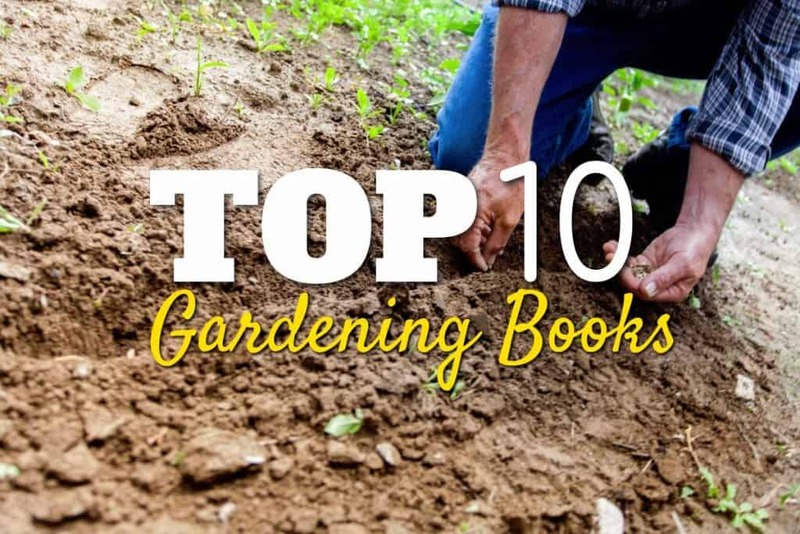 The top ten list contains a mix of new and classic gardening books which are great for beginner gardeners as well as those who are more experienced and looking for detailed manuals. 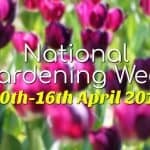 No matter what plants you want to grow, or style of garden you want to maintain, in this list you’ll find at least one specialist book that can tell you everything you need to know. This beautifully designed book boasts first place on our top 10 gardening books this year and has received an array of great reviews from critics and gardeners alike. The village show represents the pinnacle of gardeners growing and baking. This book takes you behind the scenes of the RHS, with an insight into the worlds of both contestants and judges. 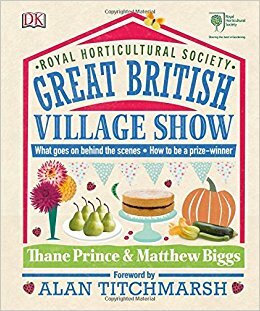 Garden journalist Matthew Biggs hands out valuable inside knowledge on how to cultivate some of the most popular veg and flower exhibits, whilst Thane Prince shares her fantastic recipes for prize-winning cakes and preserves. 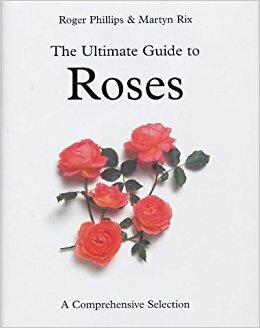 For tips on how to grow the best-in-show rose or just how to grow a marrow, you’ll find this book fun and informative! Following on from the popular and hugely successful Polytunnel Book, Joyce Russell and Ben Russell have created another book and this time, it is filled with kitchen garden projects that anyone can make and enjoy. 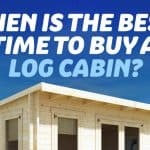 Building the wooden structures provides some gardeners with more satisfaction than actually cultivating the plants that grow in and around them. 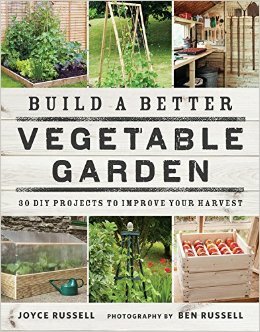 Build a Better Vegetable Garden contains thirty practical projects that will keep any gardener with a saw, drill and a few bits of timber happy for weeks! 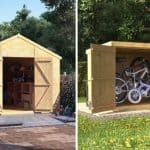 To make it as simple as possible for the reader, each stage of each project is photographed with easy to follow instructions so even the most DIY-shy gardener will be able to turn their hand to it. From initial inspiration to final layout, you can create your own small garden with the help of gardening design expert John Brookes and his book Small Garden. Long before the garden makeover television shows were informing homeowners about how to turn their garden into an outside room, rather than a patch of earth to fill, John Brookes was helping the nation to transform our gardens into fantastic spaces. 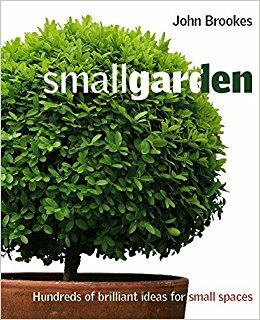 This book and follow-up to The New Small Garden is full of practical ideas, clear photography and instructive diagrams that are designed to help you to create and make your plot with ease. 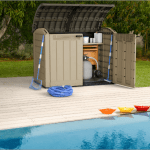 From rooftops to basements, you’ll be able to plan and plant up any small space with confidence. Phillips and Rix are arguably the best double act in garden reference books and their classic guide to roses had to be included in the top 10 gardening books. You can also find equally impressive volumes on shrubs, perennials, bulbs, herbs and more – although many are frustratingly out of print. Phillips’ photographs are presented with a designer’s eye for detail, while Rix brings some expert botanical nous to the partnership. The book contains 1,400 images, referencing roses of all types and colour with many of them in various stages of bloom, making it an invaluable resource for identification and an ideal aid to help decide which rose to plant next. 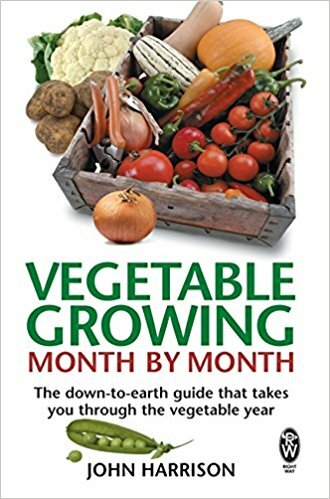 This book provides an excellent vegetable growing guide, expertly explaining how to prepare the soil, look after plants and keep pests at bay. John Harrison covers all the basics in a way that anyone with a plot of soil can follow and gives plenty of tips that will make your harvests the envy of your allotment neighbours! Even if you only have a balcony or a small paved area outside your kitchen, you can grow more than you ever thought possible in pots, containers and raised beds. John takes you through the entire vegetable year so that, for all the main vegetables, you’ll know exactly when you should sow your seeds, dig your plot and harvest your crops. Put an end to worries that your shop-bought vegetables contain chemical residues and grow your own guide instead! 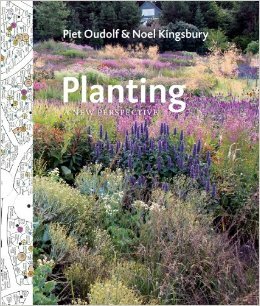 Piet Oudolf is one of the world’s most famous, contemporary garden designers, known for bringing architectural harmony to his naturalistic gardening approach through a heavy use of perennial plants. This book offers keen gardeners, garden designers and landscape architects alike, a unique insight into how they can combine these areas of expertise to create some of the world’s most memorable parks and garden. The book then demonstrates how this effect can be achieved on a smaller scale for your own garden. This book is a real treat for anyone would like to delve into the mind of a creative designer, learn how to replicate the techniques and enjoy expansive photography along the way. First published in 1971, this is an ever-expanding book which lists over 13,000 plants, representing more than 700 genera! With 1,500 new species and cultivars added to its most recent edition, this extremely detailed manual is filled with horticultural details on thousands of plants, providing it to be an invaluable resource for even the most experienced of gardeners. It you are looking for a book which only has pretty photographs to flick through, then look elsewhere as this proper gardening manual for trees and shrubs is not for you. 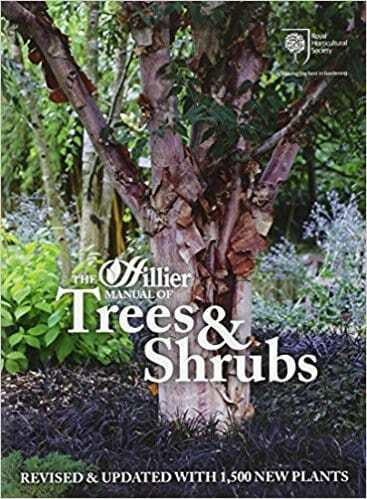 The revised and updated edition is very manageable, though, and for an on-the-spot reference and text identification of trees and shrubs is a definitive reference work that John G Hillier nurseries and makes the book recognised as a horticultural classic! Cleve West is one of Britain’s top garden designers, with six RHS gold medals to his name! Han allotment advocate and in Our Plot he aids the reader in getting the most out of their own allotment with keen advice on vegetables, flowers and fruit. 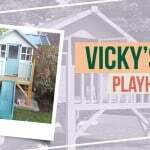 Throughout the book West encourages the sense of an allotment as a community hub, a place for families and friends to share experiences and have fun in a creative way. It’s a good humoured read with personal pitfalls scattered among the practical tips. 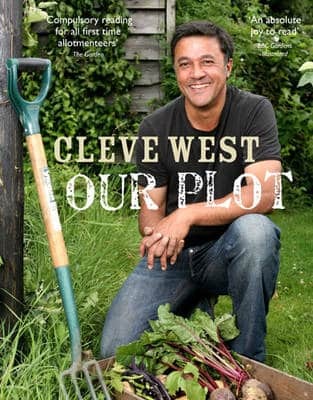 Enjoy the lighthearted reading of this gardening book, share it with your allotment chums, and watch your plot thrive. There are also easy to follow sections on vegetables and herbs, flowers and fruit, with recipes and troubleshooting tips. The book is amply illustrated with Cleve’s own beautiful photographs, fantastical drawings by Cleve and Christine and shots of the two of them at work taken by Cleve’s cousin the garden photographer Derek St Romaine. As wildflowers in our gardens are becoming increasingly popular, not only as a way of creating a distinctive gardens but also for helping protect and preserve some of our most valuable plants and wildlife such as bees and butterflies, The New Wild Garden combines new approaches to a more naturalistic design with the practical side of growing wildflowers. 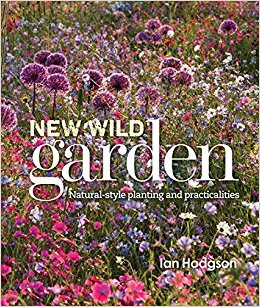 This book shows how to incorporate wildflowers, real meadows and a looser prairie-style planting into gardens and wild spaces. It also includes fifteen step-by-step projects and an essential plant list, as well as offering inspiration to gardeners and an overview of the most influential movement in garden design over recent decades.Through the use of stunning photography and Hodgson’s creative gardening advice, this book opens up a host of wild possibilities, ensuring there’s enough planting choice for everyone. An enjoyable read that offers practical advice, Christopher Lloyd’s masterpiece has been riding high in the bestseller lists since its first publication in 1970. From planting and pruning to seeds and weeds, Lloyd writes with a passion for his subject, presenting his personal take on gardening challenges, triumphs and despairs with forthright opinions and a liberal dose of wit. 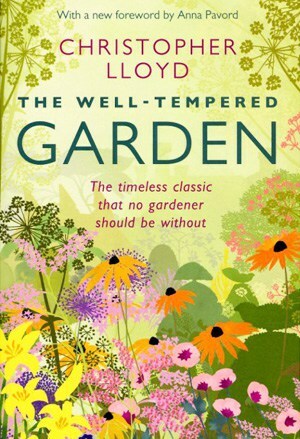 Christopher Llyod makes The Well-Tempered Garden as fresh, enlightening and necessary for gardeners in the 21st century as it was when it first appeared more than 40 years ago.